Product Size: 17-1/2" x 14"
Is yours a young brand that wants maximum exposure? 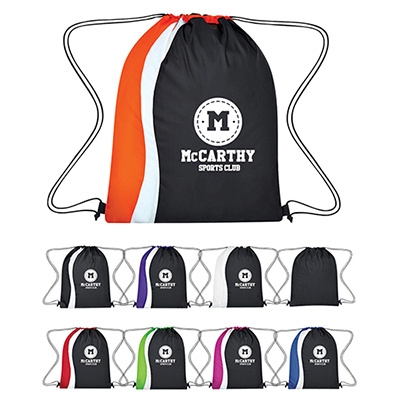 Try putting your name on one of these Promotional Drawstring Sport Packs. 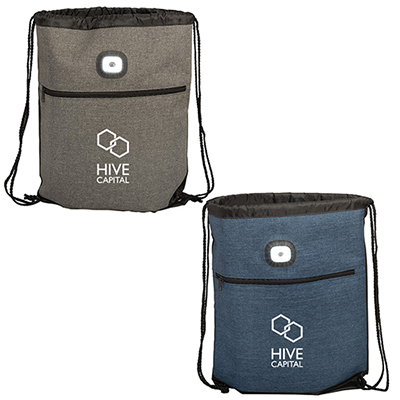 Perfect gifts for College students, these Personalized Sport Packs are very trendy thanks to their pull string closure with mesh front pocket and slip front pocket with pen loop. 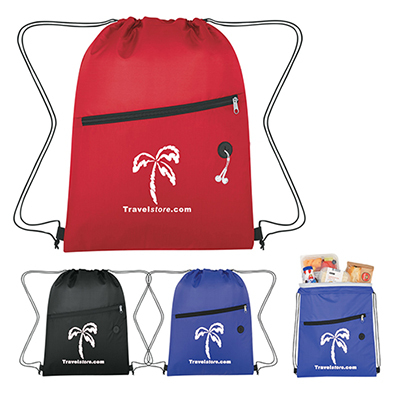 Watch this bag become a fad with the youth and your brand name will go everywhere with these Promotional Drawstring Sport Packs. ORDER NOW! 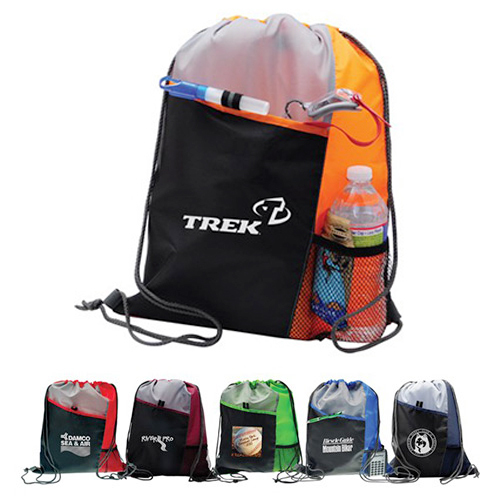 "Bought the Drawstring Sport Pack as a giveaway for employees. They loved them. " Front compartment makes organization a breeze!